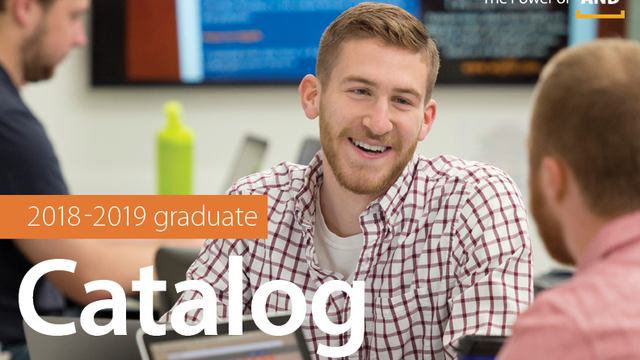 The graduate and undergraduate catalogs provide regulations, course listings, degree programs, and fee schedules for incoming students to explore. The baccalaureate degree at UW-Eau Claire provides students with the knowledge and abilities needed for lifelong learning. Graduate programs foster students’ intellectual development, contribute to the advancement of disciplines, and enhance students’ personal lives and their ability to contribute to their professions and communities. 1. These historical catalogs are only available to on-campus web users and require Adobe Reader to view. 2. Once at www.collegesource.org; type in "University of Wisconsin," NOT "University of Wisconsin-Eau Claire" OR "University of Wisconsin Eau Claire." 3. A drop down menu will appear. Choose the PDF icon on the far left on the same line as the "University of Wisconsin-Eau Claire." 4. Once opened, you'll see both the most recently published undergraduate and graduate catalogs. 5. Click the "plus" sign to expand the list of all available catalogs. How to find a program? There are two ways to find the programs that UW-Eau Claire currently offers. There is the "Programs" link in the top right navigation that will take you to an alphabetical list of all of "Programs Alphabetically" and a list of "Programs by College". You can access the same information from the left navigation titled "Degree Programs". How to find course descriptions? There are two ways to find the courses that the UW-Eau Claire currently offers. There is the "Courses" link in the top right navigation that will take you to an alphabetical list of "Course Descriptions" and "Course Information". You can access the same information from the left navigation titled "Courses". How to read a course description? The bold first line is the capitalized course abbreviation that designates the subject area followed by the course number, title and credits. Prerequisite: Coursework to be completed and/or requirements to be met before taking the course. Course description: Summary of the purpose and key topical areas of the course. GE –General Education applies to requirements in catalogs prior to Fall 2016. Courses listed in the prerequisite that are not linked indicate that the course is inactive and is listed for historical purposes. The unit of credit is the semester hour. It is defined as one class hour per week (or its equivalent) for one semester. Thus, a lecture-discussion course which meets three hours per week ordinarily carries three semester credits. Laboratory and studio classes usually require two hours in class as the equivalent of one semester credit. How to print a page? There is a printer icon in the upper right hand corner of the screen. To print the page as it is shown on the screen, select the "Send to Printer" option. You can also choose the "PDF of This Page". How to print the full PDF of the catalog? Full PDF format is available. Contact Printing Services for printing options, if desired.